Sparrows are a family of birds that the backyard birder tends to overlook. All sparrows seem to be lumped into the same vague description of “little brown birds that mostly stay on the ground”. Sparrows, though, are a pretty diverse group. Yes, they have many similarities but upon closer inspection you can see just how beautiful and varied they are. 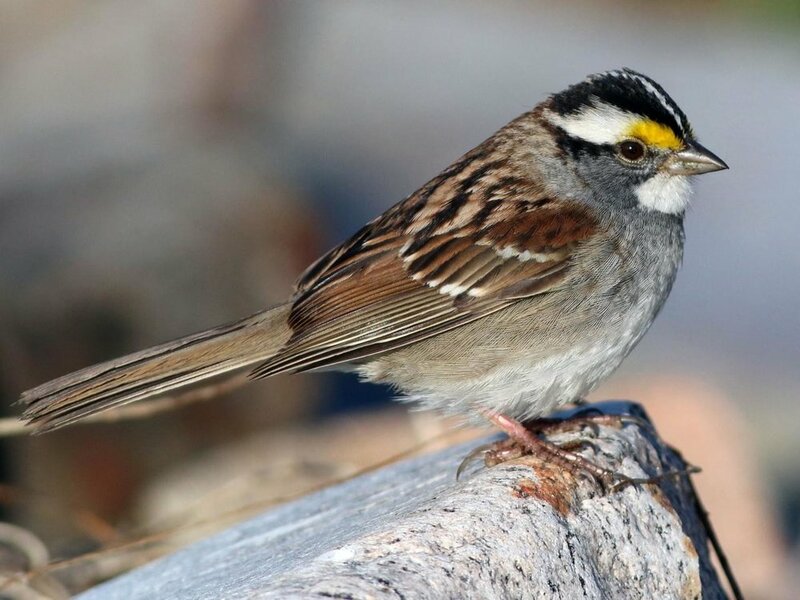 The Annotated Checklist of Birds of Tennessee recognizes 26 species of sparrows, 10 of which breed here. Many are considered rare, to uncommon, to seasonal, with few as year round residents. This time of year we see with regularity Field Sparrow, Song Sparrow, Swamp Sparrow, White-throated Sparrow, White-crowned Sparrow, and Juncos are included in the family, too. 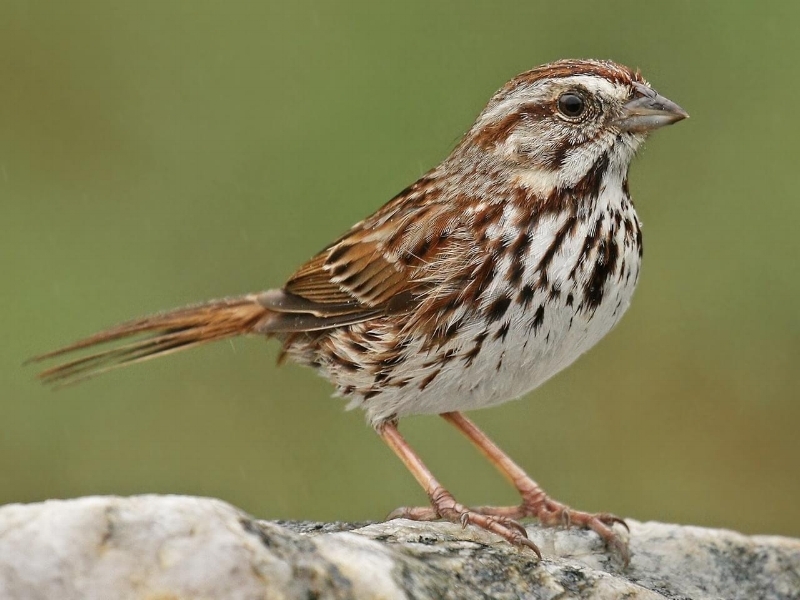 This week we’re going to focus on the Fox Sparrow. Last weekend I was birding at Hidden Lakes State Park on McCrory Ln and really had fun looking for sparrows in the lower meadow area along the Harpeth River. I got several good looks at Fox Sparrows as they darted from cover to cover feeding on native plant seeds. The Fox Sparrow is a large sparrow measuring up to about 7”, which is just a little smaller than a Northern Cardinal. It is recognized for its heavily streaked rusty colored breast, and a rufous, or orange-brown tail, which is more noticeable in flight. The rusty brown combined with gray around the neck gives it its foxy look. Its song is described by Peterson’s Field Guide as brilliant and musical; a varied arrangement of short clear notes and sliding whistles. Click on the picture above to hear their song and read more. Behaviorally it feeds similarly to the Eastern Towhee scratching with both feet on the ground while foraging. It is a very distinguishable hopping forward and back motion. Look for Fox Sparrows to appear on the ground below feeders during wintery, snowy weather. Millet is a food of particular interest to them. By April Fox Sparrows leave this part of the country to go back north to their breeding areas.